Whether you’re hosting a crowd at your house this year, or heading off to a potluck-style celebration, having a stash of easy and delicious appetizer recipes can only add to the fun. And if you’re making a meal of nibbles you want food that will fill you up in a satisfying kind of way (something no amount of cheese and crackers will ever do). 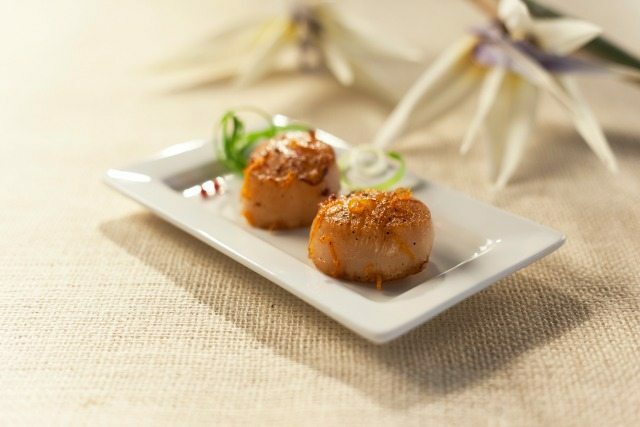 Most of the recipes below are adaptable, making it easy to substitute chicken, beef or pork for the salmon or shrimp. Wishing you a New Year filled with happiness and many good times around the table. Meatballs are my kids’ all-time favourite party treat. 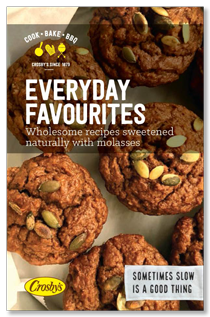 This recipe for molasses meatballs is extra easy because you can start with store-bought meatballs and dress them up with this flavourful sauce. 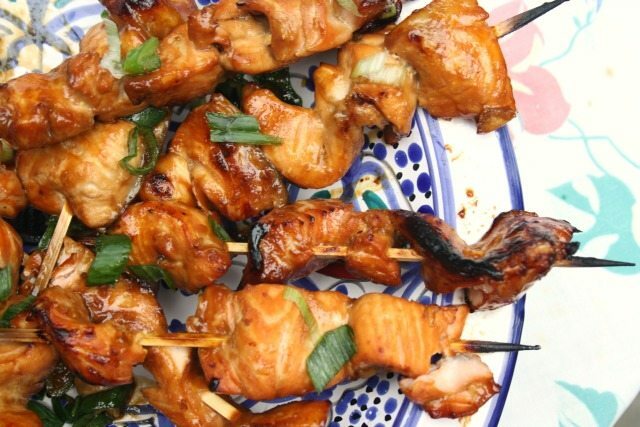 Another favourite with my kids, the delicious marinade for these ginger chicken kabobs can also be used for pork or tofu. Tip: The peanut dipping sauce that goes with this recipe is great for vegetables too. 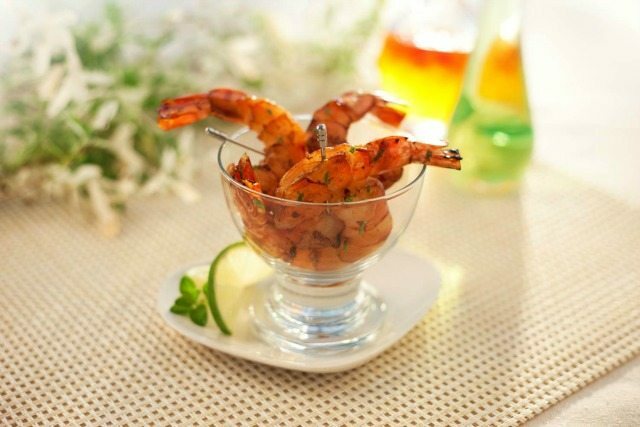 Shrimp is one of the simplest foods to eat with your fingers. 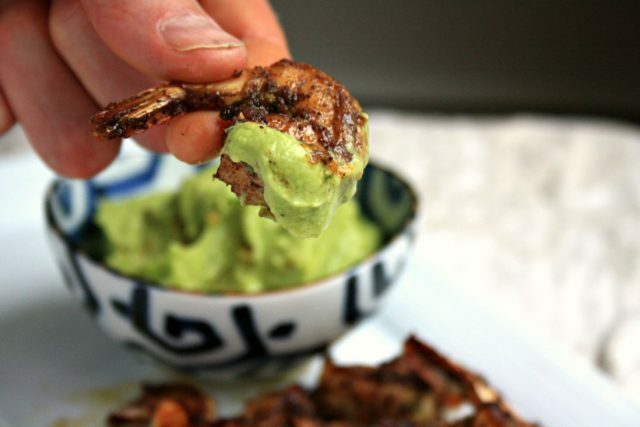 This spicy shrimp recipe with its avocado dipping sauce tastes fresh and original. 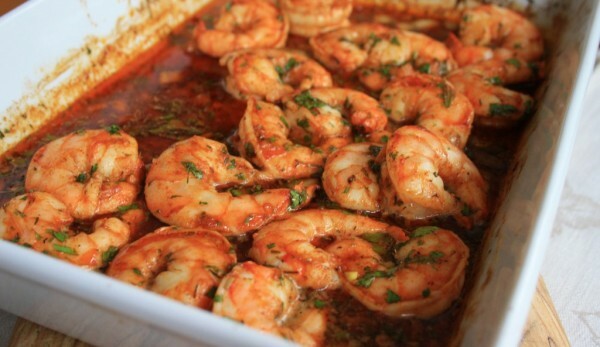 Rum, ginger, lime and molasses make up the tasty marinade for this simple molasses shrimp appetizer. 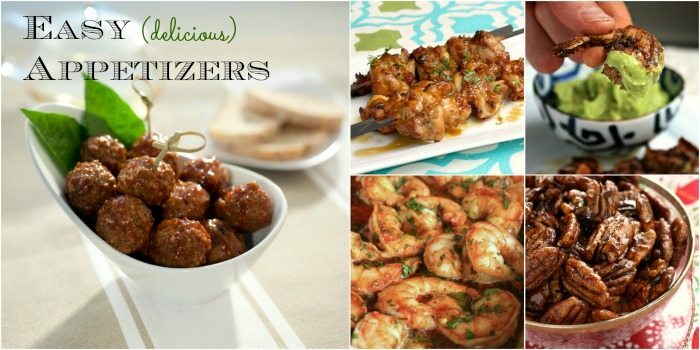 An old family favourite in our house this recipe for Cajun shrimp is perfectly adaptable to the New Year’s party buffet as an easy finger food. 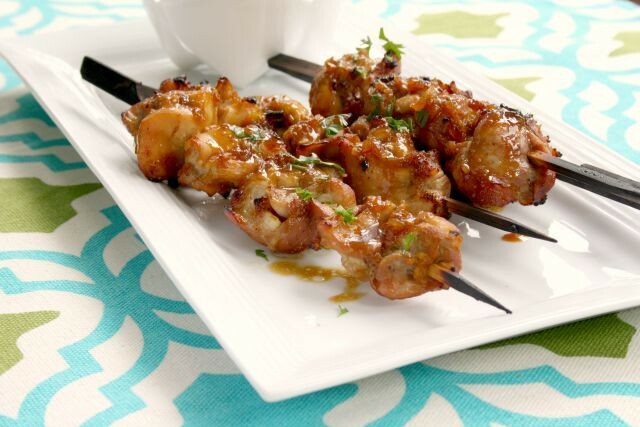 Tip: This marinade can be used with chicken (cut into cubes or strips) and even cauliflower. Another family supper staple, teriyaki salmon is easily adapted into party food that is extra easy to eat because it’s served on a stick.  Tip: Marinade can be used for other meats and tofu. 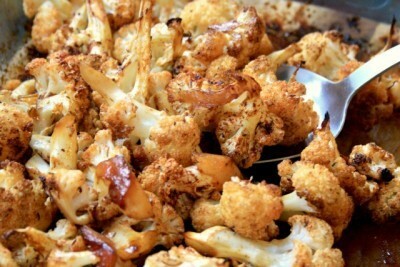 This spice roasted cauliflower recipe was inspired by a cauliflower appetizer recipe I found in a Food & Wine magazine years ago. Cook until crisp-tender for easier eating with your fingers. The marinade for these molasses salmon skewers features crushed coriander seeds for a bright flavour. Tip: Try this marinade with thinly sliced beef. Spiced nuts are always a handy snack to have around. 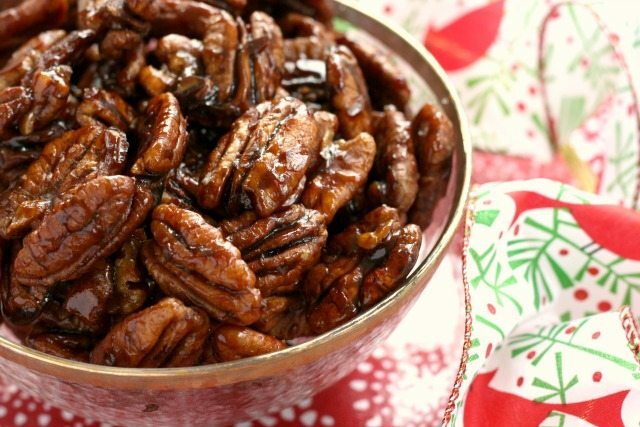 These maple molasses candied pecans satisfy the craving for sweet but offer a little more substance than candies and chocolate. Try the recipe with walnuts too.